You won't start out with much in Red Dead Redemption 2, and you'll need to know how to get a gun as soon as possible. There's a lot of information thrown at you in the opening hours of Rockstar's Red Dead Redemption 2, so much so that there are details that slip through the cracks. In this guide to Rockstar's latest game, we'll be explaining how to get a gun in Red Dead Redemption 2 once you've completed the opening section of the game, as well as how to change your loadout in Red Dead Redemption 2, so you can change between weapons on the fly. If you instead need any additional help on other areas of Red Dead 2, you’ll want to head over to our Red Dead Redemption 2 guides hub. It’s on this main page that you can find a complete list of everything you need to know heading into the game, as well as a complete guides page index. Where are my Weapons Gone in Red Dead Redemption 2? At the very beginning of Arthur Morgan’s grand adventure, you’ll find yourself up in the northern reaches of the map, with the Dutch Van der Linde gang stranded in the snow. This is the introductory section of the entire game, and once this is over, you’re free to roam the entire map, undertaking side and story missions as you please. To equip a weapon at any point in the game, you’ll firstly want to be on or standing right next to your horse. After all, Arthur can’t be expected to carry around 10+ weapons to once, and your entire arsenal is instead contained within your horse’s saddlebags. 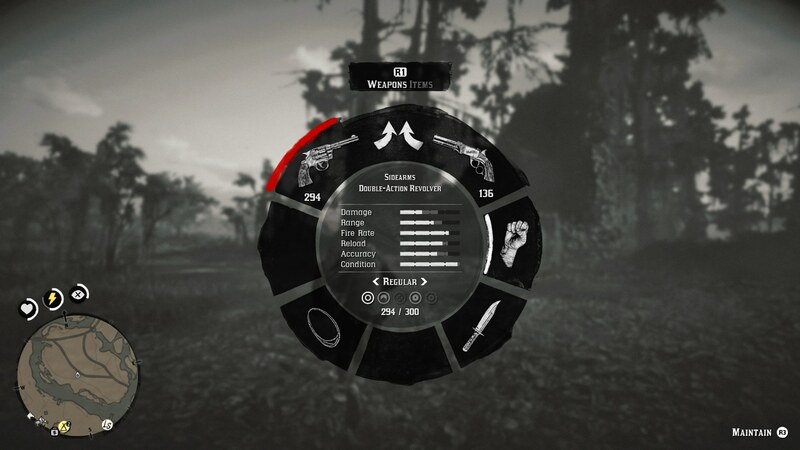 Hold the left bumper to bring up the item wheel, and you can select a main and sidearm weapon to equip. Don’t worry, you’ll unlock the ability to equip more than two weapons at once as Red Dead Redemption 2 goes on (as well as the dual-wielding feature). But for now, hover over either your sidearm or main weapon slot using the right analog stick, and you can press the left and right trigger to scroll through the complete range of weapons available to Arthur in either slot. This is also how you change Arthur’s weapon loadout. You can only change the weapons for each slot while you’re on or near your horse, and after you leave your horse behind to go roaming around, you’re stuck with these weapons until you return to your trusty steed. 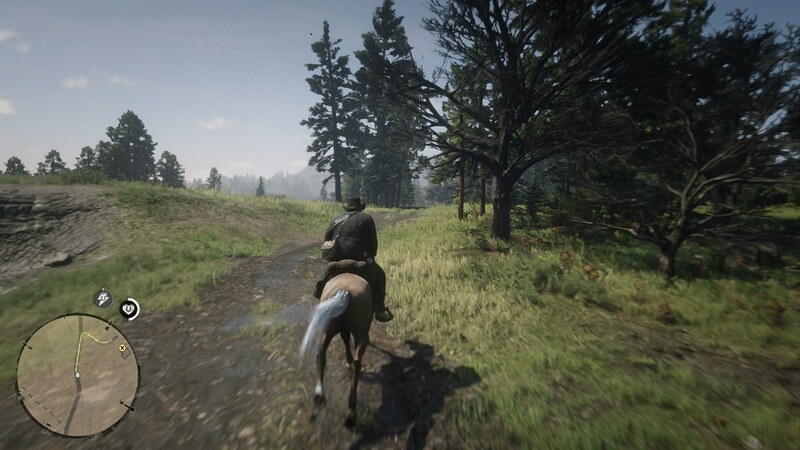 If at any point in the game you find yourself without a gun or weapon, chances are you simply need to return to your horse. When you're near your horse you can access its storage and then equip the weapons of your choice. Now that you know how to equip a weapon and change your loadout in Red Dead Redemption 2, you might want to check out some of our other weapons guides. You can head over to our Red Dead Redemption 2 rare weapons guide, or our Red Dead Redemption 2 weapons customization guide for more.